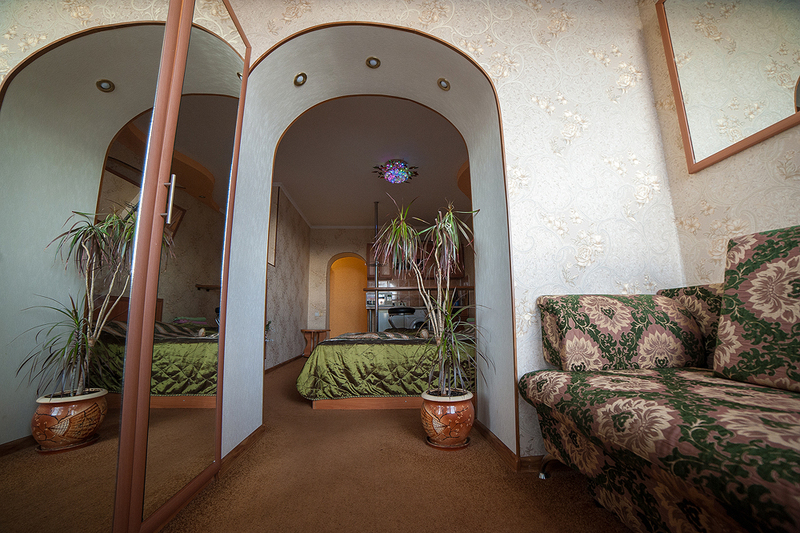 Need to rent a flat in Nikolaev due to a business trip or you need to place your guests, relatives or business-partners from other regions or countries? We suggest you looking at our offers on the website. 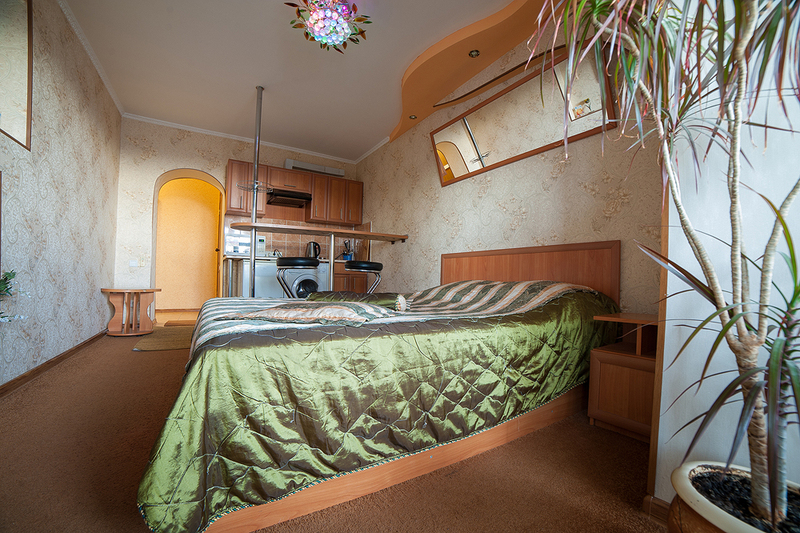 There you can rent a flat in Nikolaev without intermediaries easily, and that will take you no time. As all the apartments are offered by hosts, you also will save your money on the rent price. 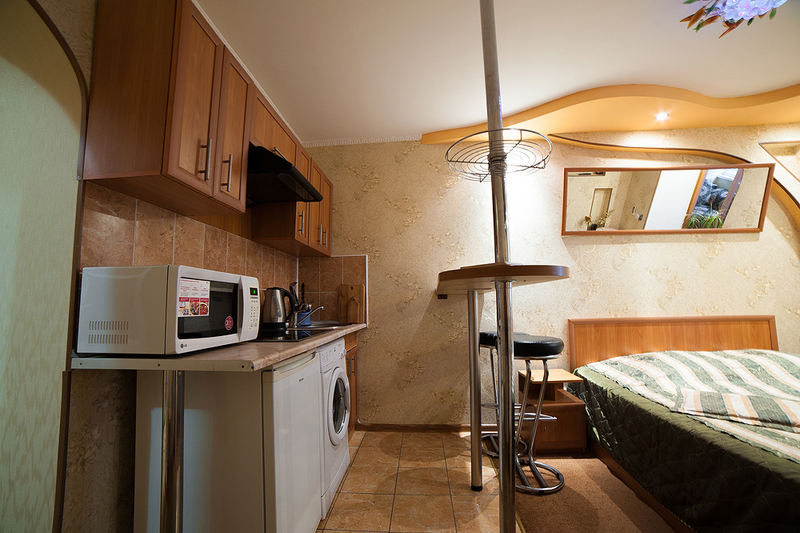 You can a flat in Nikolaev for-night, for-hour or for a long time. You only have to phone us! 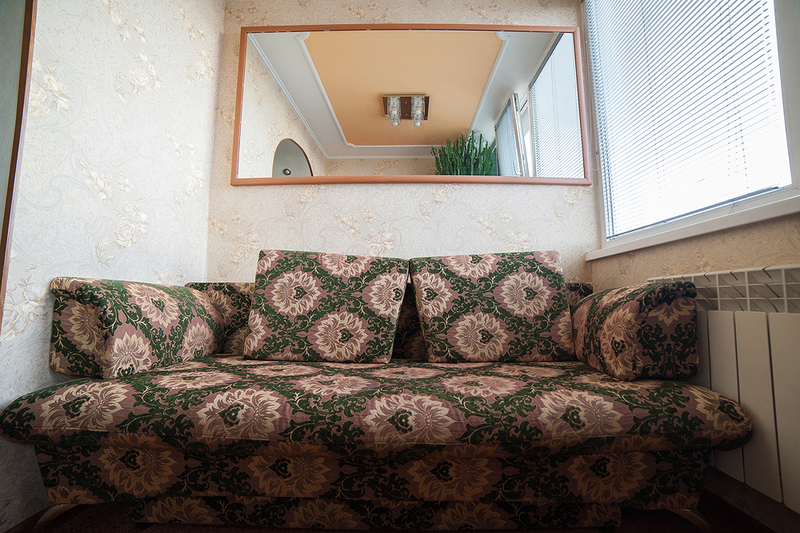 A light and cosy one-room flat in Navarynskaya str. is an excellent choice for having a rest. If the number of people living is from 1 to 4, we can offer you to rent a flat, which is in the city centre in Navarynskaya str. Zoned one-room flat is provided with all the necessary conveniences for living in comfort: a kitchen, a pantry, climatic appliances, furniture, crockery. 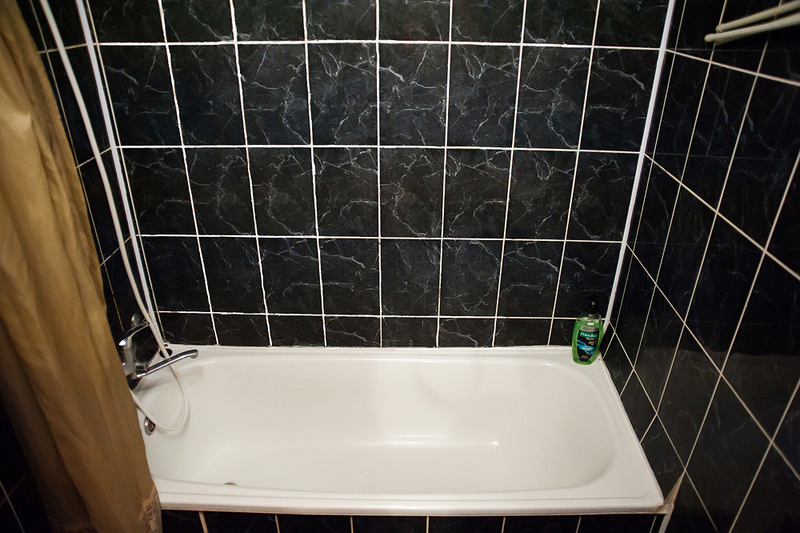 There is a qualitative and modern repairs in the apartment, which makes it cosy and available for having a good rest. 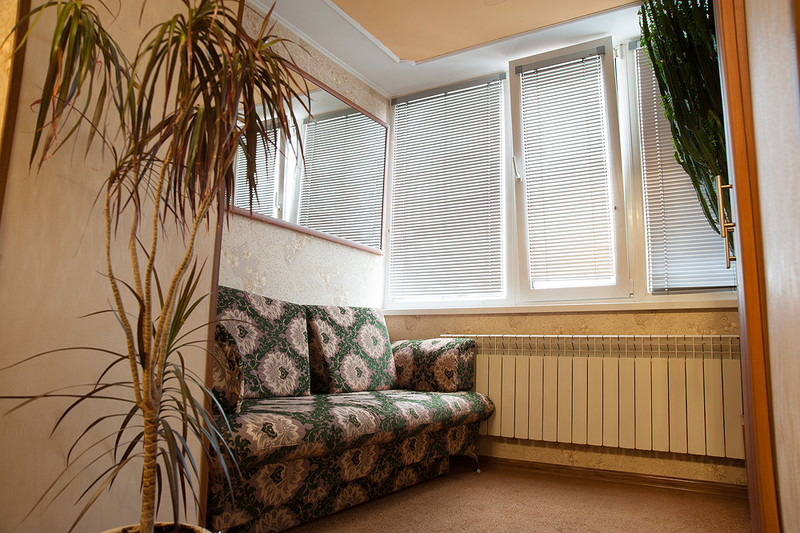 The one-room flat in Navarynskaya str. is kind of a bedsit-flat and doesn’t have any partition between the kitchen and the living-room. The room is zoned with an arch, behind which you can find an extra place for having a rest (a sofa-divan) and spacious wardrobe for your clothes. In the middle of the living room there is a two-side bed with an orthopedic mattress and a mirror above the bed, a plasma TV on the opposite wall, an air-condition and natural flowers, which are a good addition to the apartment’s design. The unusual ceiling with built-in lights allow you to change the light intensity, and this function will be a pleasant bonus in the evening. In this apartment you can connect to the free WI-FI, there is a cable television with many channels. Besides, you can find a hair-dryer and an iron in the apartment. Before your moving to the flat, there will be done a thorough cleaning. A bed linen is up for you. 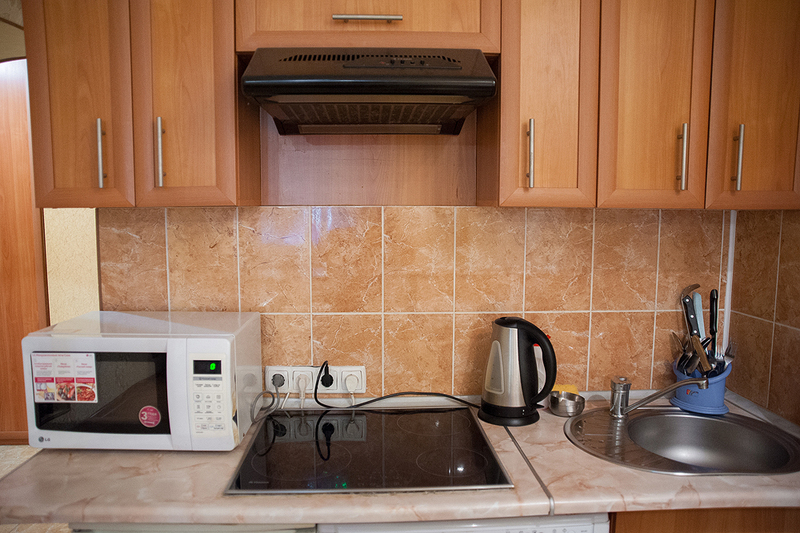 The compact kitchen is provided with kitchen furniture, a bar with comfortable bar stools, a fridge, an electric cooker, a microwave cooker and an electric kettle. There are also saucepans, a frying pan, crockery, cups, glasses and cutlery. Cleaners and other detergents are always near to you. 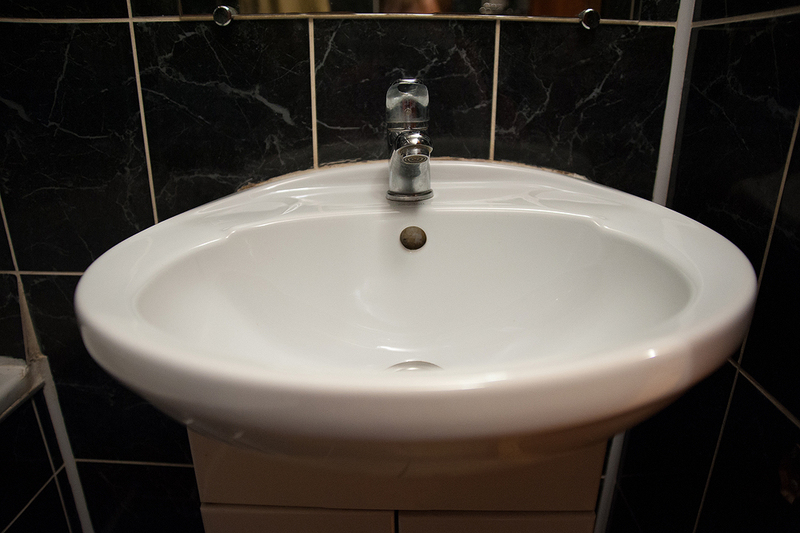 The bathroom and the toilet are provided with qualitative sanitary engineering. An automatic washing machine is set in the bathroom. Round-the-clock you have cold and hot water. 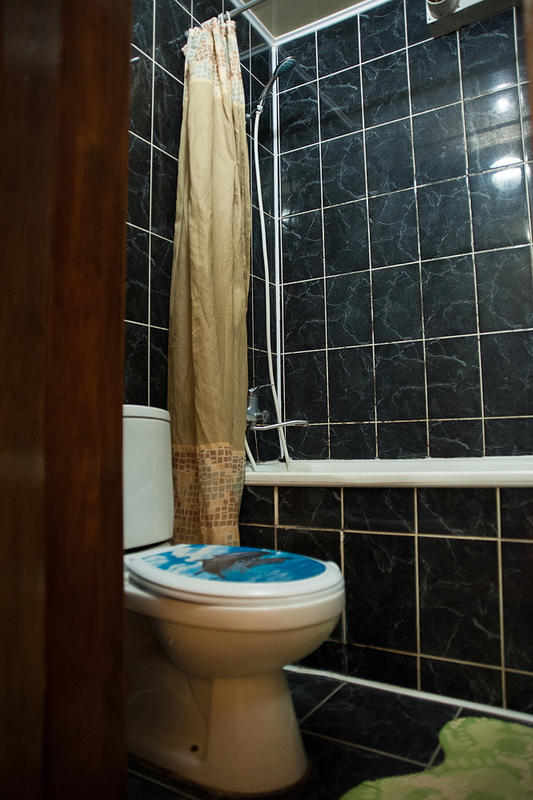 Towels and private hygiene products (soap and toilet paper) are up for you. 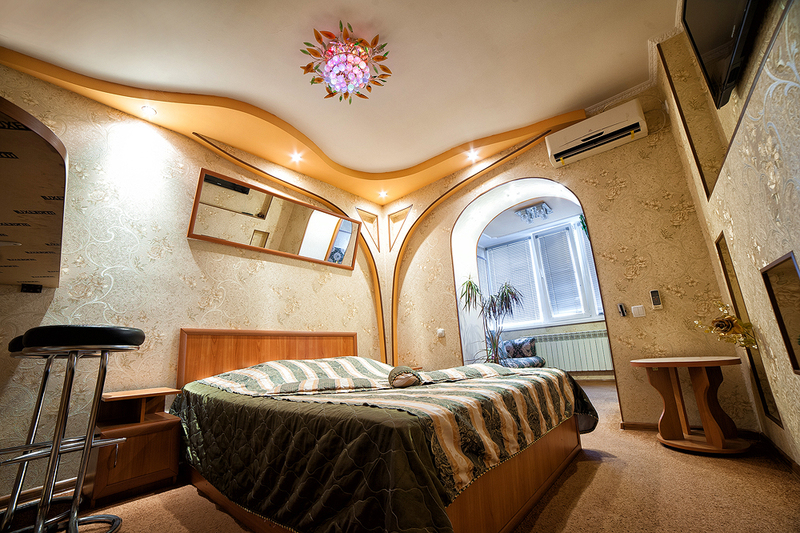 Are you interested in for-night apartments in Nikolaev? We have something to offer you! If you like the description of the apartment, to rent a flat in Nikolaev cheaply will be easy for you: just tell us the moving date and the number of living days. The main our activity is renting flats in Nikolaev, so we offer you a qualitative service and make your being in renting apartments as comfortable as we can!